Buddy Boutonniere, a big-hearted Standard Poodle, subsists in the bare backyard of a tract home in the desert city of Yucca Dunes. MacKenzie, a Border Collie, and Javier, a Chihuahua, provide Buddy with companionship and bring him food scraps when his neglectful owners forget to provide for him. When Buddy's owners decide to move, Buddy meets a wonderful lady who visits his house with prospective buyers. 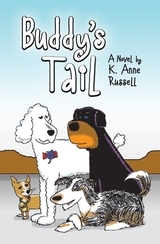 The poodle's humans try to sell their dog and Buddy goes through a series of unsuitable living situations. The final family returns Buddy to the tract home not realizing the owners are out of town. His only lifeline, MacKenzie, is killed by an evil Hummer driver while bringing him food. Tiny Javier tries to support Buddy with the aid of Dumb Derek, a Rottweiler whose brain is damaged from years of guarding a chemical dump. The two are unable to help the poodle. Buddy dies, but is brought back to life by Sonny, the Good Shepherd. Sonny grants Buddy's wish to go live with the wonderful lady, in return for his promise to go with Sonny when he comes back for him. Buddy has a happy life with the lady and her dog, Skootch. Together they rescue abandoned Leroy and abused Roxanne. Years later, during Skootch's fifteenth birthday party, Sonny comes for Buddy. True to his word, he goes without complaint. Sonny takes Buddy to Haven, the canine paradise, where he is reunited with MacKenzie. Sonny explains the rules in Haven; dogs acquire free will and give up their role of caring for humans. Their only responsibility is to help guide other dogs to Haven. Buddy excels at guiding, but on a mission to bring back a bomb dog from Afghanistan, Buddy breaks the rule and helps a human, the dog's Marine partner. The residents of Haven are furious with the poodle and he is exiled to the perimeter of paradise. There he meets a young girl who has died of cancer and befriends her, another infraction of the rules. He is dragged before the communal tribunal, where MacKenzie defends him. With the help of the marine and the girl, MacKenzie convinces the judges that Buddy is not an offender, but a hero. 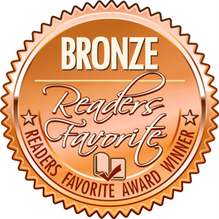 Buddy's story teaches young readers about the bonds of love and friendship, the role of free will in building character, the importance of responsibility in our lives, especially as it relates to animal welfare, and the acceptance of death as part of life's journey for ourselves and our pets.